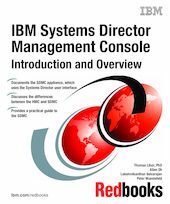 This IBM® Redbooks® publication positions the IBM Systems Director Management Console (SDMC) against the IBM Hardware Management Console (HMC). The IBM Systems Director Management Console provides system administrators the ability to manage IBM Power System® servers as well as IBM Power Blade servers. It is based on IBM Systems Director. This publication is designed for system administrators to use as a deskside reference when managing Virtual Servers (formerly partitions) using the SDMC. The major functions that the SDMC provides are server hardware management and virtualization management.